One year ago, on August 25, 2017, Hurricane Harvey barred down on Houston, unloading 19 trillion gallons of water on the city – more than a year’s worth of rain in just five days. The impact on the local Jewish community was devastating. 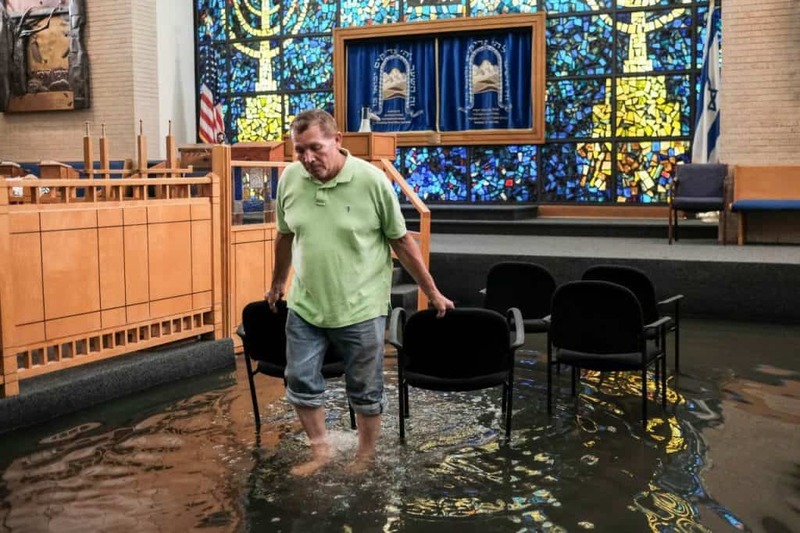 More than 2,000 Jewish households flooded, and seven major Jewish institutions suffered extensive or catastrophic damage, including two of the largest synagogues, a day school, the JCC and a senior care center. “We were all raised with the value that we should give back to the community. But I never thought we’d be asking for help,” said Margaret Lewis, whose home flooded during the storm. 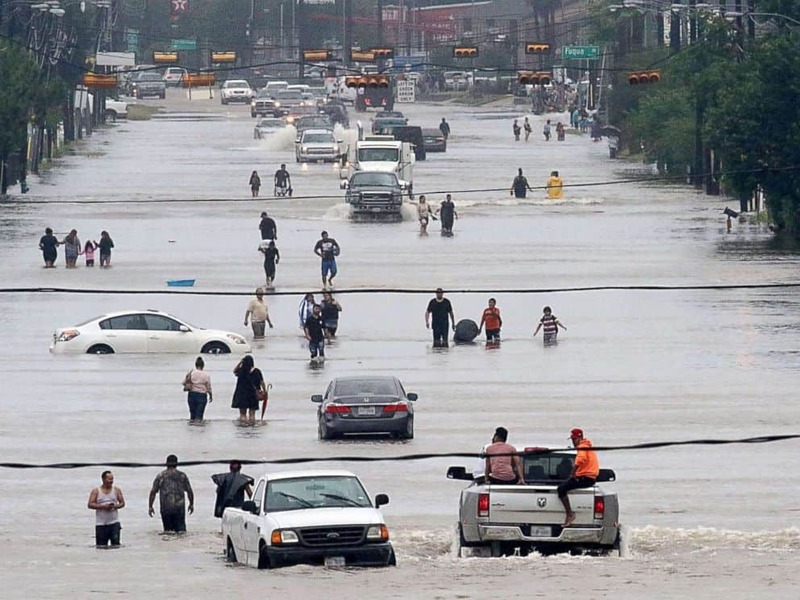 Working with The Jewish Federations of North America (JFNA), the Jewish Federation of Greater Houston set up the Hurricane Harvey Relief Fund, which has raised more than $22 million to assist the community with both short- and long-term recovery needs. This vital fund helped provide immediate assistance to individuals and families after the storm, including financial assistance, furniture and appliance grants, and much more. Federations also provided Houston with countless packages of essential supplies, including air mattresses, clothing and more. In addition to their donations, Federation lay and professional leaders from around North America also traveled to Houston in the storm’s aftermath to help the local Federation manage operations and fundraising during this time of great need, as well as to volunteer with on-the-ground recovery efforts. 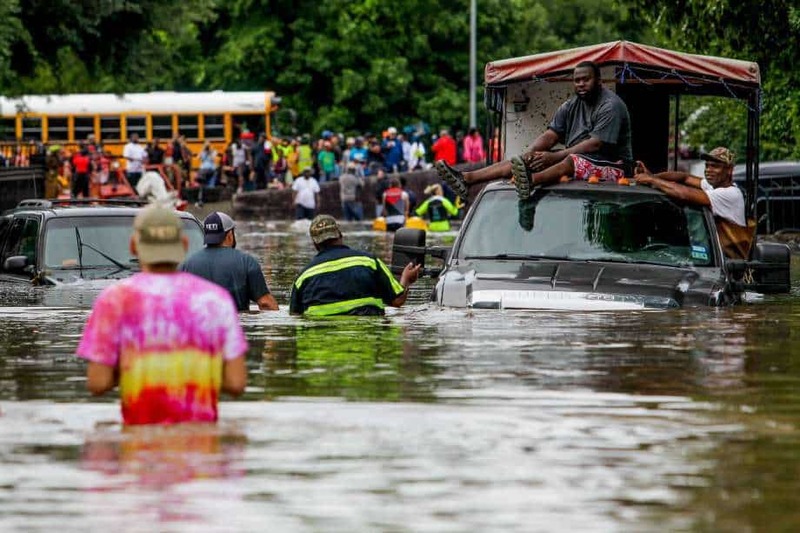 “You think of the immediate ramifications of property damage and having a place to go when the hurricane hits, but you don’t often think about the long-term damages people have to live with,” said Gail Norry, the Philadelphia-based chair of JFNA’s Emergency Committee, who traveled to Houston to assist. One area of notable, ongoing need has been mental health care. Even a year later, an estimated 18 percent of Houston-area residents are still suffering from post-Harvey psychological distress and each new storm that occurs brings these issues to the surface. In response, local Federations, including UJA-Federation of New York, contributed to vital mental health recovery efforts in Houston. In the months since Harvey, grief and trauma counselors from the Israel Trauma Coalition have been brought in to train hundreds of school administrators and teachers, first responders, firefighters, and police officers on how to help those struggling in their community. In addition to the immediate, life-saving relief efforts Federation made possible, it also continues to support the ongoing rebuilding of Jewish institutions and continuity of Jewish life in Houston. Individual Federations across North America, including the Jewish Federation of Northern New Jersey, have given generously to sustain Houston’s vibrant Jewish life. By helping with synagogue dues, summer camp scholarships, day school tuition and Israel experiences, no family in Houston has to choose between rebuilding their home and investing in Jewish life. These efforts are critical and powerful investments that help ensure a bright Jewish future in Houston. While Federation has helped the community come a long way, Houston is far from fully recovered. Almost a year later, the future of many of Houston’s Jewish institutions remains uncertain and countless families are still displaced and struggling. Fundraising efforts continue to support the ongoing needs that will arise as families and institutions work to make long-term decisions. The Hurricane Harvey recovery efforts are a remarkable example of the unstoppable power of Klal Yisrael, the Jewish collective. That continued support, which has endured over the millennia of Jewish history, remains essential as Houston continues to work to rebuild.